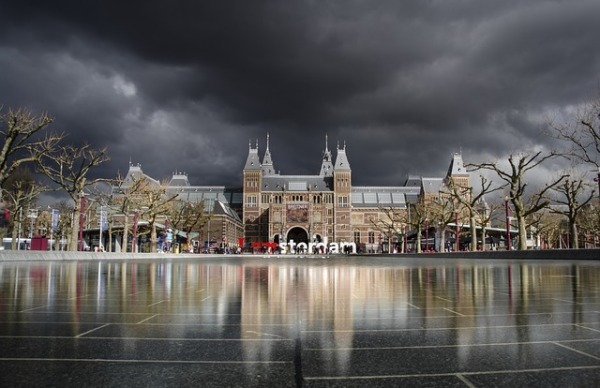 Amsterdam offers an enormous variety of activities and attractions for children and their parents, from canal boat rides, petting zoos and world-class museums. Explore science and technology at the NEMO Science Center, or visit the giraffes and elephants in the downtown Artis Royal Zoo, built in 1838. Family-friendly pancake houses and international restaurants welcome all members of the family. Take a fun-filled tour of a working windmill, or get up close to famous stars and royalty at Madame Tussauds Amsterdam. Visit the Flower Strip, where vivid rainbow colours of the famous Dutch tulips delight the eye, or step back in time and tour the castles and picturesque countryside for a glimpse into life in the Netherlands as it once was. High on the list for many travellers, Amsterdam delights children of all ages with endless ways to spend a day, or a week, in this charming and unique city. 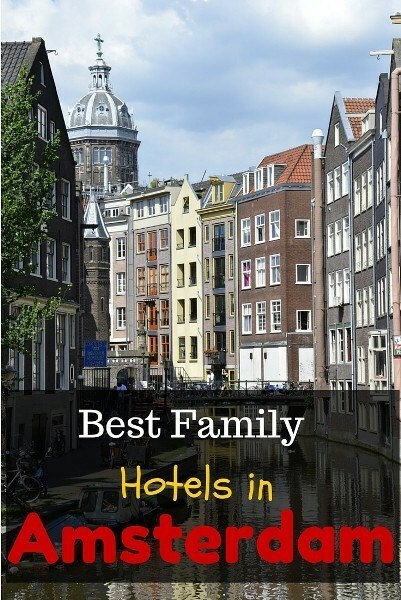 Below you will find our list of the best family hotels in Amsterdam to help make your visit a success! Spiegelgracht Apartments with Canal View is located in the heart of Amsterdam, only a 5-minute walk away from Rijksmuseum and shopping. This Amsterdam family hotel offers spacious rooms overlooking the canal Spiegelgracht . Each room comes with a TV and tea/coffee making facilities and a private bathroom with a bath or shower and toilet. Very close to a wide range of dining options, this apartment-style hotel is located in a convenient location. Family rooms have canal views and can be interconnecting for larger families. A safe, LCD/plasma TV with satellite channels, mini bar and refrigerator are offered in each room. Located on the Amstel Canal, historic Hotel Amstelzicht offers spacious rooms and suites with modern furnishings and rooms full of character. Centrally located, the almost 400-year old hotel allows guests easy access to several attractions. The hotel offers a variety of features such as a fitness centre, laundry services, bicycle rental and luggage storage are offered, which help to make Hotel Amstelzicht an excellent choice for those booking family hotels in Amsterdam. Kitchen facilities, wooden floors and bunk beds for the kids are featured in some rooms. Spacious Quad rooms include 4 single beds, a minibar, iPhone docking station and tea/coffee making facilities. A flat-screen TV, a seating area and a private bathroom are also provided. In the heart of Amsterdam, the luxurious Dikker en Thijs Fenice Hotel offers canal views and comfortable rooms with private bathroom and bath or shower. Most rooms feature canal views and all rooms have coffee and tea facilities, LCD/plasma TVs with cable channels and free toiletries. An on-site French-Mediterranean restaurant serves international cuisine, and a private dining room and lounge on the first floor offer scenic canal views. A fitness centre, babysitting and luggage storage is available. The tram stop is right around the corner. Clean and centrally located, this Amsterdam family hotel offers ambiance and proximity to the museums and shopping in this vibrant part of the city. Located in central Amsterdam overlooking Dam Square and only 200 meters from the Royal Palace, this luxurious hotel has individually decorated rooms and the nearest tram stop is right across the road. 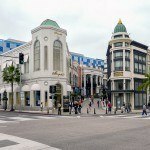 Museums and shops are very nearby, offering value and convenience for families wishing to do some sightseeing. Each room offers satellite TV and there is Wi-Fi access in the entire hotel. Triple and quad rooms are available, and cots may incur an extra charge. Leisure options on-site include a fitness centre and a Jacuzzi. When searching for where to stay in Amsterdam with family, look no further than NH Collection Amsterdam Grand Hotel Krasnapolsky. It offers 24-hour room service, shuttle service and laundry. This historic landmark has a Victorian glass roof over the Winter Garden, where breakfast and tea are served. Other restaurants on-site offer Western and Eastern cuisine to satisfy the fussiest of palates. Situated just 1 km from Amsterdam Sloterdijk train station and a 20 minute drive from Schiphol Airport, Golden Tulip Amsterdam West is a great option for a family friendly hotel in Amsterdam. Offering elegant, air-conditioned rooms with free Wi-Fi, the hotel is close to the tram which whisks you to the city centre. The modern triple and quad rooms feature a sitting area, flat-screen TV and a Nespresso machine. The bathroom has a walk-in shower, toilet and free toiletries. A breakfast buffet is served daily in the hotel’s restaurant at an additional charge. Guests can also enjoy dinner or a drink at the bar. Cars lower than 1.85m can be parked in the on-site parking garage in this family hotel in Amsterdam. The Radisson Blu Hotel is located in a quiet part of Amsterdam’s city centre, a 7-minute walk from the exciting Dam Square. Waterlooplein and the Kalverstraat shopping street are within a 10-minute walk from Radisson Blu, making this an excellent choice for Amsterdam family accommodation. Offering modern, spacious rooms decorated in colourful Scandinavian and maritime themes, guests will enjoy free Wi-Fi, LCD TV and a sitting area. A spa and a fitness centre with a sauna and solarium are offered, and the Spui Tram Stop nearby offers 6 tram lines to different parts of Amsterdam. An extensive breakfast buffet and international meals are served in the on-site restaurant and a choice of restaurants is available within a 5-minute walk. This hotel is conveniently located at the Schiphol International Airport, where a complimentary breakfast and easy city access by train makes it a good choice for a family stopover hotel in Amsterdam. Rooms feature internet connection, coffee and tea making facilities, a mini bar and satellite TV. Just 15 minutes by train to the city centre, the location is perfect for a restful stay before or after a flight. 24-hour room service, a concierge desk, laundry services and a 7-minute walk from the Arrivals hall of Schiphol Airport make this hotel a wise option after a long flight. The hotel offers parking, free Wi-Fi, a fitness centre, bicycle rental and a tour desk. A 3-star hotel located on a beautiful green square in the centre of Amsterdam, behind the Royal Palace on Dam Square, the Nova Hotel is suitable for family accommodation in Amsterdam due to the easy access to many of the city’s attractions. Exploring the city by bus, tram or boat is easily done from this location. 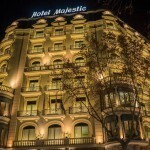 The city’s unique architecture, museums and galleries, and shopping streets with a wide range of shops are right at your feet when staying at this budget-friendly hotel. Some rooms are up 3 or 4 flights of stairs, but rooms are spacious and the location is convenient for accessing central attractions. Stayokay Hostel Amsterdam is located in the heart of the Vondelpark and is an 8-minute walk away from The Van Gogh Museum. This budget-friendly family accommodation includes free W-Fi access throughout the whole building, and dormitory-style rooms with bunk beds. Rooms can be shared or private. The dormitories have a bathroom and lockable cupboards and guests can buy locks at the reception, or bring their own. Breakfast is included in the rate, and guests can relax and have a drink or snack in Brasserie Bite & Drink. Up to 6 adults may stay in the rooms. The vibrant Leidse Square is situated a 5-minute walk away and offers plenty of restaurants. Access to Dam Square and Amsterdam Central Station is possible by taking Trams 1, 2 and 5 at Leidse Square. Located near the main museums, this hostel-style family accommodation also provides a bicycle rental service. Laundry service, safety deposit boxes and luggage storage are available. Located at Blue Square, 15 minutes’ drive from Amsterdam city centre and Schiphol Airport, this family friendly hotel offers free Wi-Fi, a 24-hour reception and a bistro. Each of the modern, air-conditioned rooms at Best Western Blue Square Hotel has comfortable beds, flat-screen TV and tea and coffee making facilities. Some of the rooms have picturesque views over the Erasmus canal. A desk and a laptop safe are offered in the rooms. Bicycle rental and a tour desk are provided, and a library and vending machine are offered. Guests can enjoy an international breakfast buffet in the restaurant on site, while French and Chinese cuisine is offered in the evenings. Lodewijk van Deysselstraat tram stop is 160 metres from Best Western Blue Square. 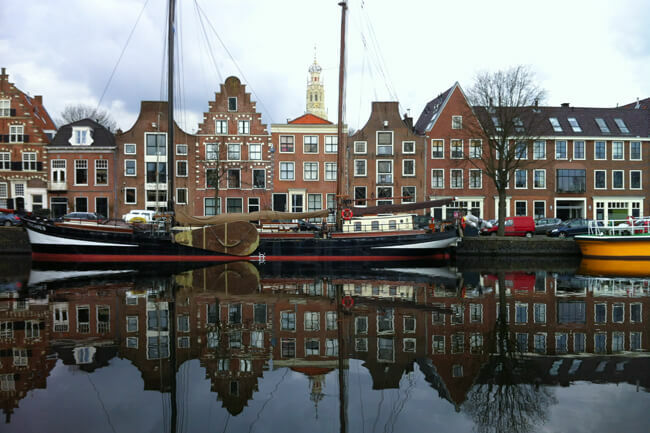 The centre of historic Haarlem is a 15-minute drive away. 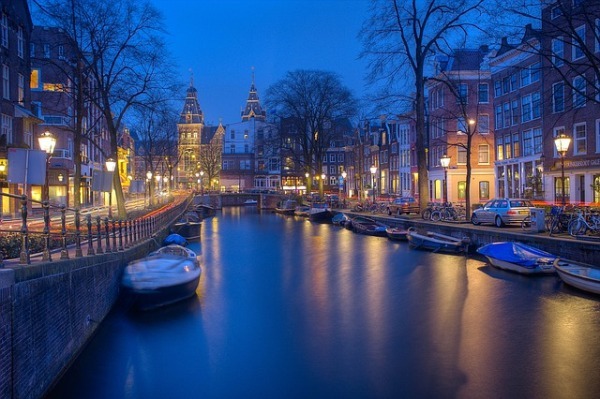 What is your favourite hotel in Amsterdam?